Thomas Gordon, the son of a Presbyterian minister and a Christian school teacher, was born and raised in Williamsport, PA. He is married and has three grown sons. 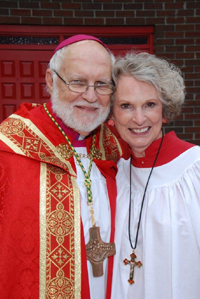 In 2008, he became the organizing minister and Rector of St. Philip the Evangelist Anglican Church in Charlotte, NC. In 2012, he was called upon to serve his alma mater, St. Andrew’s Theological College and Seminary, as its seventh President. 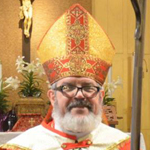 Edward Poullet-Báez became the second Bishop of the Orthodox Anglican Mission to Puerto Rico. He was ordained to the priesthood at Saint Paul Episcopal Church in Bayamón, PR on February 16th, 2003. He studied at Saint Peter and Saint Paul Diocesan Seminary in Trujillo Alto, PR. He has served as Priest-in-Charge of Saint Mary Magdalene Episcopal Church in Levittown, PR and later Rector of Saint Benedict Anglo-Catholic Church in Trujillo Alto, PR. 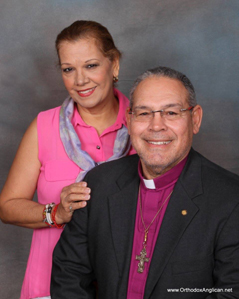 He also served as Rector of Good Shepherd Anglican Church in Arecibo, PR. He was consecrated Bishop at Cathedral of the Good Shepherd in Myrtle Beach, SC on April 19th 2015. Thomas Shank was born in 1949, and raised Lutheran. He earned a B.A. in Religion & Philosophy. For graduate work he attended the Lutheran Theological Seminary in Gettysburg, PA. He was ordained an Anglican priest in 1994, and consecrated as a Bishop in 1998. In 2000 he was received into the Orthodox Anglican Church. As a Missionary Bishop to Mexico his main focus is among the Tarahumara Indians of Chihuahua. He engages in a variety of project such as evangelizing, church planting, development projects, and school building, just to name a few. 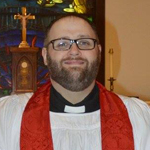 William Mouser, Jr, is the Vicar General of the Missionary Diocese of the Southwest, and the Rector of St. Athanasius Anglican Church. He graduated from TTU in December 1973 with a major in philosophy, minors in math, chemistry, and Greek. He then enrolled in Dallas Theological Seminary, graduating in 1978 with a major in Hebrew and Old Testament. After doing preparatory Anglican Studies at Laud Hall Seminary he entered into Holy Orders in 2004. William and his wife, Barbara, founded the International Council for Gender Studies (ICGS), which he currently serves as Director. Additional, he serves as the interim Academic Dean, as well as the instructor of Bible and Greek, at St. Andrew’s Theological College and Seminary. 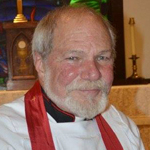 Denny Trousdale currently serves as the Curate of St. Augustine’s Anglican Church, as well as the Vice-Chairman of the National Council of the Orthodox Anglican Church. In addition to those roles he also serves as both the interim Treasurer and the Vice-Chairman of the Board of Trustees for Saint Andrew’s Theological College and Seminary. 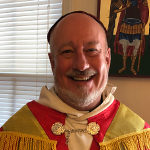 On October 7th, 2018, during the Fall Clericus he was appointed to the role of Dean of the Jurisdiction. He is a local business owner in Bryson City with over 20 years’ experience in mortgage and finance. Denny resides on a small farm in The Nantahala National Forest with his wife Katherine, 3 horses, 4 dogs and 3 cats. He has a passion for his service to God, the Church, the community and fishing. Drew Darnell has been in ministry since 1999 where he first began preaching in a Southern Baptist Church. Since that time, he has served as a Youth Pastor at two different churches, and as Missional Pastor at an Anglican church in Asheville, NC. Currently he is a Missionary Priest, serving as the Rector of Blue Ridge Anglican Mission in Hendersonville, NC, where he lives with his wife Resa, and their two children. Additionally, he works as a Business Analyst for Volvo Construction Equipment. He was installed as Canon Missioner on December 11th, 2016, by Archbishop Thomas Gordon and charged with assisting the Archbishop in developing and implementing his vision for mission. He also serves as President of the Henderson/Buncombe Right to Life Chapter, and is on the Board of Directors for NC Right to Life. 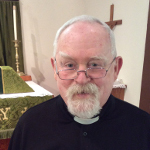 Paul Hubbard has served for over three years as the military endorsing agent for the Orthodox Anglican Church. Hubbard completed a distinguished military career as a Naval Flight Officer, where he taught leadership and management at VA Tech ROTC, served in the intelligence community, flew with TACAMO (Strategic Forces) and also was Catapult Officer aboard the USS America. Additionally he was the eighth President of St. Andrew’s Theological College and Seminary. 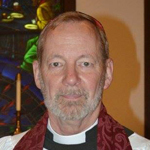 He is currently the Rector of St. Timothy’s Anglican Church in Poquoson, VA. He is married to Jeanne, and has seven children and nine grandchildren. 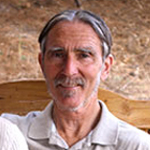 James Ward has lived the majority of his life in Western North Carolina and currently resides in Bryson City, NC. He and his wife, Patty, have two daughters and six grandchildren. His is a graduate of Western Carolina University with a B.S. in Industrial Engineering. His studies continued at St. Andrew’s Theological College and Seminary towards priesthood. He was ordained to the diaconate in November 2007, and ordained as a priest on November 17th, 2013. Then on June 22nd, 2018, he was made a Canon of Honour. Over the years, he has ministered to God’s people in many capacities. For years he served as a Deacon, Sunday School teacher as well as Parish Senior and Junior Warden, and currently he’s the Rector of St. Augustine’s Anglican Church. He believes that all of his experiences have prepared him for service to his church. T. Creighton Jones attended Furman University and later graduated from the University of Alabama with a BS degree in Management Science. In 2001, he entered St. Andrew’s Theological College and Seminary where he earned his Master of Theology degree. He was ordained to the diaconate in 2002, and to the priesthood in 2003. During his last year at St. Andrews, he was involved in the Clinical Pastoral Education program at Moore Regional Hospital in Pinehurst, NC, where he served as the weekend chaplain. In 2003 he planted Good Shepherd Anglican Church in Myrtle Beach, SC. 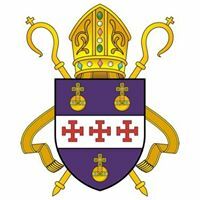 In 2012 he was consecrated Bishop, and enthroned as Presiding Bishop. From 2012 through 2015 he served as the fifth Presiding Bishop of the Orthodox Anglican Church, and the Metropolitan Archbishop of the Orthodox Anglican Communion. Since his retirement in 2015 he has become a Certified Beekeeper. 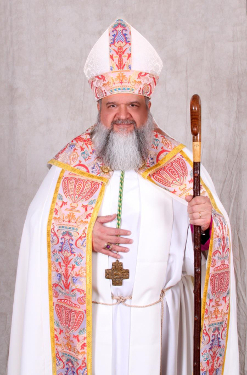 Luis Morales was ordained into Holy Orders in 1999 through the Episcopal Diocese of Puerto Rico. Having served in various settings as Rector, and Chaplain he was eventually received into the Orthodox Anglican Church in 2013. Since his reception he has served as a Missionary Bishop until his retirement. Currently he spends his time immersed in the internalization and practice of the Rule of St. Benedict. Rusty Marts holds a Bachelor’s degree in Psychology and Christian Service from Manhattan Christian College/Kansas State University, a Master’s degree in Psychology/Personnel Services from Eastern New Mexico University and a Doctorate in Counseling from Bethany Theological Seminary. 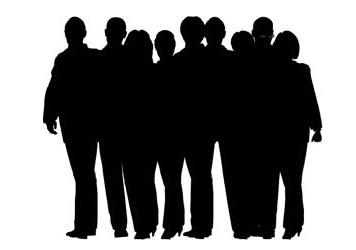 Hes is married, with two grown children and works in the field of management/employee consultation. Additionally he has a fourteen year history as Choirmaster and has composed and conducted numerous sacred choral anthems. 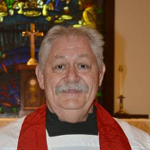 Having served St. Augustine’s Anglican Church in Bryson City, NC, as Rector, he is now retired from parish ministry. George C. Schneller was born on February 22nd, 1921, in St. Louis, Missouri. He was ordained to the priesthood on December 8, 1973 and served as the Rector of Holy Cross Anglican Church in St. Louis, Missouri for over two decades. He was consecrated to the episcopate on October 27th, 1991, by Hesbon O. Njera, Presiding Bishop of Kenya, and Laione Q. Vuki, a Bishop in Polynesia, both were Bishops of the Orthodox Anglican Communion. Schneller served his alma mater (1973) as the second President of St. Andrew’s Theological College and Seminary during the same period. 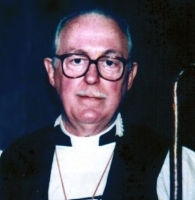 Following the death of his wife and having health difficulties of his own, on January 9th, 1993, he resigned his position as the second Presiding Bishop. His Excellency passed away on June 8th, 2000. Andre Cross was a native of Memphis, TN, born on March 7th, 1966. He was ordained to the priesthood on April 18th, 2010, and helped establish and strengthen various missions and parishes. Then on September 24th, 2011, he was consecrated a Bishop. 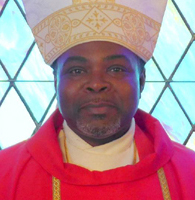 In early 2017, Bishop Cross, being of a traditionalist Anglican inclination, petitioned to join the Orthodox Anglican Church and was received into the Jurisdiction by Archbishop Thomas Gordon on June 10th, 2017, and appointed as a Suffragan Bishop. On October 11th, 2017, he was called home.